What’s in store for Sleighton Farm Property? Find a Home in Glen Mills! 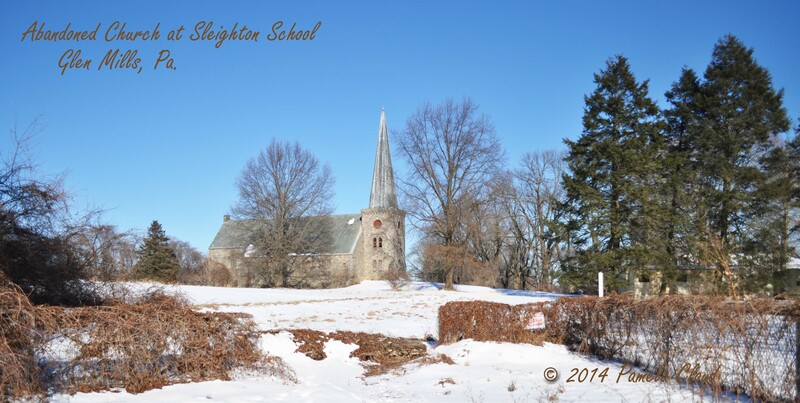 The Sleighton Farm School property in Edgmont and Middletown townships in Glen Mills has been a local curiosity for years, capturing the imagination of photographers, historians, preservationists and developers alike. 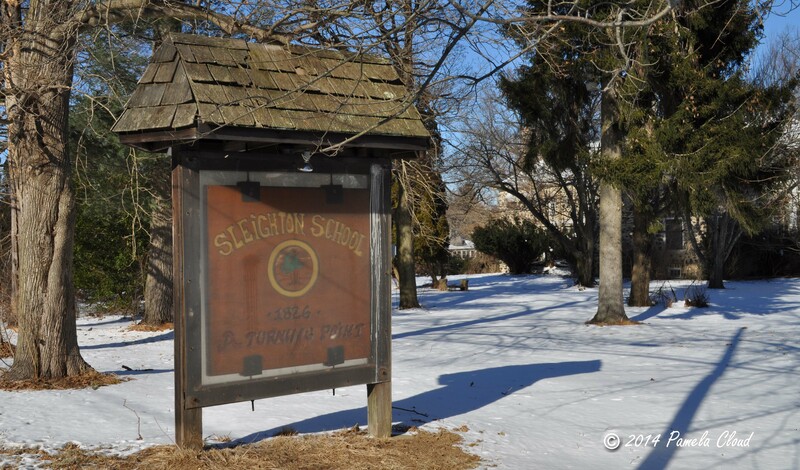 Performing a simple Google search on “Sleighton School” returns hundreds of photos, a few videos and blogs about this property, evidence that the Sleighton School has seen its share of vandalism and neglect. Reading through the pages and pages of blogs and their comments almost brings dormant Sleighton back to life. This part of the county used to be about as far out into the country as you could get from Philadelphia, making it an ideal spot for a farm school. Today, Edgmont is just another suburb that seems to be feeling the squeeze of development. Sleighton School started as a House of Refuge and/or farm school for girls in 1826. Changes in management and a series of ups and downs over the years resulted in a campus that has fallen prey to nature and decay. The long history of the school is fading and there is no one source of information on the property and the people who lived and worked there between 1826 and 2014. I have just scratched the surface and learned there is much more to Sleighton School than one blog post could do justice. A timeline can be found on the most recent Edgmont Township minutes, below. The beauty of this property lies in the fact that it represents something we seldom see anymore in the outskirts of Philadelphia: rural-ness. I drive by Sleighton almost daily, reminding myself not to take it for granted because it won’t be here for long. Even though the buildings have been vandalized and are overgrown with weeds, the 300 or so acres of sprawling farmland with hay bales and wildlife provides a bucolic backdrop for the daily commute for many residents; a stark contrast to the frenetic activity that can be found less than five miles away. Many of the buildings were designed by the late 19th-century Philadelphia architectural firm Cope & Stewardson according to an article in Philly.com. Preservation vs. Profit. Can we have both? The 2002 article goes on to say that the site may be eligible for historic preservation, but the very fact it has been up for sale/sold, suggests that the historical significance has not outweighed the tax revenue that will benefit two townships or the profit to be made by the institutions who own the land and those who will develop it. Twenty two acres have been dedicated as a public park along West Forge and Valley Roads, which is somewhat of a consolation, and a substantial part of the land in Edgmont is already under an agricultural easement. The property owner for the project is a dual entity known as “Sleighton Inc.” which represents dual ownership of the property by Sleighton School and Elwyn, according to Edgmont Township minutes. The property is currently under agreement with Toll Brothers, who plan close to 400 new homes–or 2.4 homes per acre, not exactly what residents are used to in an area where a lot size can range from one or four acres or more. According to the Edgmont Township website, the plan calls for “116 Single Family Homes and 19 Carriage Homes in Edgmont, and 125 Single Family Homes and 156 Carriage Homes in Middletown. The current project total is 397 proposed homes.” This would be an age-restricted community (otherwise known as 55+ communities), which is typically attractive to townships and school districts alike because the township receives real estate tax revenue without burdening the school system. But there is still traffic and infrastructure to consider on Forge and Valley Roads–simple math would put 200 to 400 additional cars on the these rural roads. What’s Next and How to Stay Informed. Given the desirable setting, the condition of the site and the ever-present pressure of development, it’s clear that change is imminent. The only question that remains is how will this change impact the character of the area and at what are the costs and benefits. At one time there was a residents group with the mission to save the property and/or keep the mission of the non-profit Elwyn to serve children and a development of this size would require a change in current zoning to accommodate the high density. It will be interesting to watch the story of Sleighton School as it continues to unfold. There has been one public meeting which attracted a handful of neighbors. Another public meeting was rumored but I found no notices as of this writing. If you would like to stay informed, see below. Click here for a copy of the minutes of the May, 2013 land planning meeting at Penn State Brandywine Campus. Subscribe to the Edgmont Township email distribution list by contacting Catherine Ricardo at edgmontadmin@comcast.netor by phone at 610-459-1662. Click here for Edgmont Township Staff. Subscribe to the Middletown Township email distribution list by clicking here to complete a form. Click here for Middletown Township Council. Neighbors and others familiar with the property have indicated that the site is dangerous. With the increased interest in the property, arrests have been made for trespassing. Accordingly, I would not recommend going on the property without permission. Find Homes in Edgmont Township. The best way to describe this western part of Edgmont and Middletown townships is a feeling of individuality that homeowners enjoy in this low-density area. A drive along Forge Road just miles from Route 352 leads to open pasture complete with cows; you’ll find an Alpaca Farm nestled into a residential community a few miles away and you can raise your own chickens if you choose. It is not uncommon to see fox, hawks, deer and other wildlife. A fair amount of people own horses and you will see various types of housing co-existing from small ranchers to newer contemporaries and a few planned communities–it’s definitely not a cookie cutter. This area is a good choice for people who may want to build or buy a larger home but are not necessarily interested in all the rules and regs that go along with buying into a planned community. Edgmont township covers about 9 square miles situated between Thornbury, Willistown and Middletown townships, about 20 miles west of Philadelphia. People move to Edgmont to enjoy the country locale combined with a workable commute to the city and access to major routes in desirable Rose Tree Media School District. Middletown is a bit larger, with twice as many residents according to the 2000 census and geographically heads south, bordering Aston and Upper Providence townships as you head towards Media. If you would like more information, market reports or sales trends or would like to share information for the Glen Mills and surrounding areas, please contact me. Sources: The Daily Times, Edgmont Township web page, Middletown Township web page, Preservation Alliance for Greater Philadelphia , Unknown Historic Sites and others. There is also a Sleighton Farm Facebook Page, which will lead you to more photos! Photo Contest at Ridley Creek State Park Set for January 26th! Hi Mike, thank you for your feedback! Just to clarify, I did hear of a meeting that was supposed to take place this February but I wasn’t able to document it with either township. pretty soon Delco will look like philadelphia. Just crap housing everywhere and not a tree or a blade of grass. its already starting to look lime the city and the traffic mimics that. Go ahead put 900 homes there whats the difference. John, all I can say is to get involved. Luckily there is still a fair amount of protected space in this particular area. For those interested, I just received a notification of an upcoming meeting to discuss plans for this site. Information at the top of the post. Hi, I am looking for someone that knows where all the records are for this school for girls. I found that my Mother was there, and trying to find out exactly the dates she was there and why. Any help you may be able to give me is appreciated. Hi Fran, I’m not sure who would have records but I know there is another site dedicated to Sleighton that you might find some people who have looked for the same thing. Another option is to contact Elwyn, Inc., who owned the property. Hello, I just came across your comment about records for the Sleighton Farm School. Did you have any luck with Elwyn? I, too, am looking for information because my grandmother was there according to the 1920 census. When I contacted Glen Mills School (because that’s the name that was the institution name on the census) they sent my request to the Pennsylvania Historical Society but PHS told me they did not have any school records for any 20th C female students. I’m still searching……. Hi Nancy, I have not done any additional research since I wrote the article. There are some Facebook pages associated with Sleighton and you may be able to connect with some people that way. I worked in the kitchen of the faculty building at Sleighton Farm School for Girls in 1958-60. It was a wonderful place to work and I enjoyed the teens who came to help with serving the faculty meals. It didn’t seem like a reform school and the girls didn’t seem any different than those on the outside. Some had just made one really bad choice. The atmosphere was sort of like a boarding school but in our kitchen we did cook meals for the restricted house and had to make sure not to cook anything with a lot of hot spice or too many eggs. Those were the 2 biggies for helping prevent unrest in that house. Every now and then they had a flare up in that house which made you realize it wasn’t a boarding school after all. Mostly though it seemed very peaceful and girls seemed happy. I just wanted to reassure any who wonder if their mother, grandmother or any other relative had a good experience at the school I can only say that I wished quite often I could have gone to school there. It was my first real job and I feel privileged to have experienced it. Caroline, what a wonderful account of your experience at Sleighton! Thank you for sharing and I hope your words bring comfort to anyone reading this!